Submit your favorite recipe. Tell us your name, an optional side message if you like, and the complete recipe. Pick up a current recipe book at the Ranger-Review. Start your advertising here. View, print, download the Advertising Rate Sheet. Also Submit a Classified Line Ad. Tell us what you would like for your Display Ad using the form below and a representative will contact you with a free consultation. See our rates. Do you have a book you would like the Ranger-Review to reserve or order for you? Just have a question? Let us know here. You can also browse all books at Buy Our Books. Card of thanks are intended to thank individuals, not specific businesses. Card of Thanks cost $10. Please submit your Card of Thanks and a representative will contact you. Thank you. Do you have a classified ad you would like to place in the Ranger-Review? View, print and download the Advertising Rate Sheet. Send someone you love a Valentine! Love Lines for only three smackers. 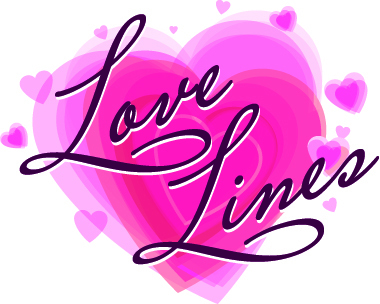 Send your special someone a message through our Love Lines page to run Thursday, February 14. Make it silly, mushy or really imaginative. Include a picture for only $5 more. Deadline is 5pm, Monday, February 11. Are you interested in earning some extra cash as a Ranger-Review Newspaper Carrier? Are you interested in being a substitute route carrier? Obituary costs are dependent on the column inch size. When you submit your obituary, we will process it and contact you with the price. Death Notices and Service Announcements are free. Generally these announce only the minimum information. Obituaries may include pictures and you can submit those on the form below. We prefer to have high resolution (200 dpi) full color jpg, png or gif photos. If you are not sure send us what you can and we will take a look. To submit a video send us a youtube link (like this one: http://youtu.be/L8MGjMl2DFs). A press release is simply a statement prepared for distribution to the media. Press releases can announce a range of business news such as: scheduled events, awards, accomplishments, other financial data, etc.